In conjunction with our friends at The Red Knight Toy Group, we're delighted to be giving away a Fletter card game (RRP £9.99) to ten lucky winners in this exclusive competition. Scroll down now to enter! 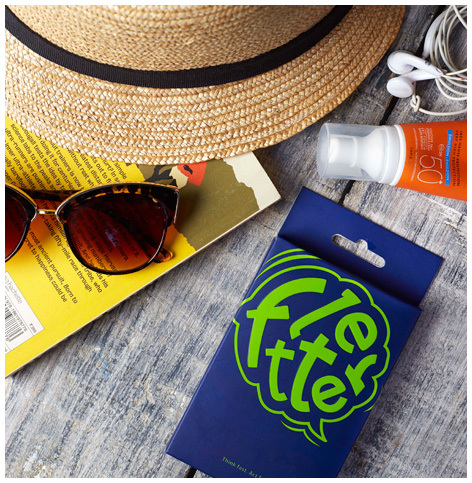 Described as "a word game that makes you think fast but act faster", Fletter is about as addictive as a card game can get - and in our experience it's able to engage even the most game-adverse children and adults. 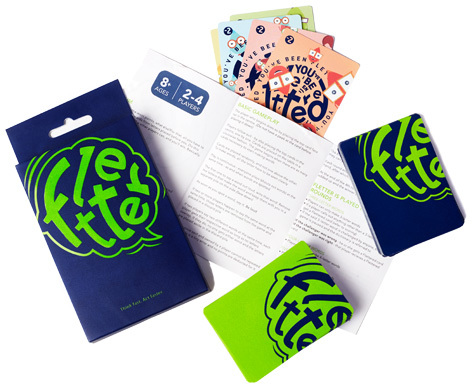 Designed for anyone aged 8 and up, Fletter can be played by 2-4 players and we particularly like how the continuous nature of the game allows everyone to play along at the same time. The concept is so simple that there must be hundreds of game designers out there who are kicking themselves for not thinking of it first! Each player starts with a handful of cards with individual letters on them, and then takes it in turn to place their card down on the table for all to see. As more and more letters are placed down, its up for the most quick-witted player to indentify the first word that can be spelt from the array of cards on the table. It doesn't matter if you're not a spelling bee champion or someone with a vocabulary big enough to make Shakespeare blush, the game is more about lightening quick responses and a healthy dose of competitive rivalry! With a glowing review from The Good Toy Guide, we completely agree that this super-charged spelling game offers kids a great way to practice their word formation whilst at the same time encouraging cognitive skills in quick thinking and concentration. Simply enter your name and email address below and you could be walking away with one of these fantastic prizes when we select the winners at random on Friday 26th April. Good luck!